Our Students visiting the House of Illustration. House of Illustration is a new Art Gallery and Educational Space in the Area North of King's Cross Station, close to St. Martin's School of London, with an accessible and stimulating program of Exhibitions, Talks and Events. Opened in July 2014 the Gallery is definitely worth visiting. 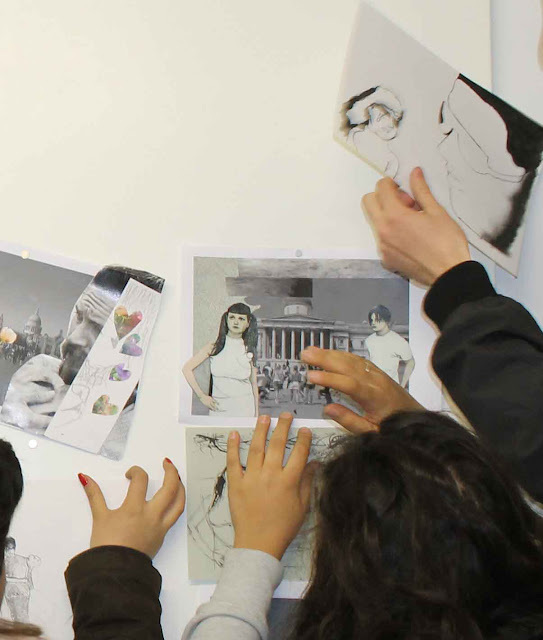 Our Students were the first foreign group who took part in a creative Workshop at The House of Illustration. Hope to come back soon together in London to the Hous of Illustration.